Now a customer now has available a great option to be able to get the power of the lead pellet without the exposure to it. 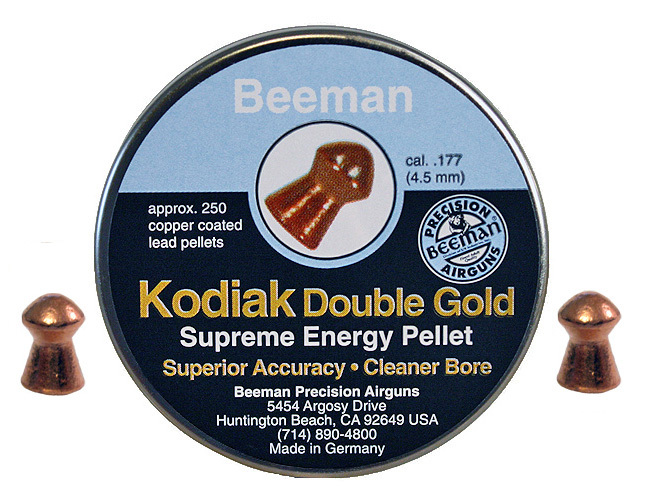 These pellets are slightly different in weight, but all other characteristics are the same as the original Kodiak pellets. In addition they are excellent for keeping your gun's bore much cleaner because there is no lead dust left behind in the bore. If lead exposure is something you want to avoid or you are just looking for a cool looking pellet you'll want to try these pellets.